A vocalist walks into a bar. Clearly dejected, the bartender asks him, "Hey kid, what's the matter?" The singer replies, "My director wants me to sing the lowest note in the second inversion of a Db augmented chord, but I don't know enough about music theory to know which note that is!" The bartender suggests, "Well, why don't you just try singing what you think it is?" After a brief thought, the vocalist belts out exactly the right pitch. The bartender smirks, "See kid, you're A natural." An hour later, 5 of his buddies show up and they start a vocal band and rock out forever. The Baudboys is an eight-voice a cappella group composed entirely of Microsoft employees and alumni, have been called “The Undisputed Kings of Geek A Cappella.” For more than two decades, they have entertained audiences up and down the West Coast with their unique brand of geek comedy and musical excellence, sharing the stage with a cappella legends such as Take 6 and The Manhattan Transfer. In 2008 they won first place overall at the Harmony Sweepstakes Northwest Competition, and were named “Audience Favorite” in 2010. Their debut album, Hello World, is now available on Amazon.com. 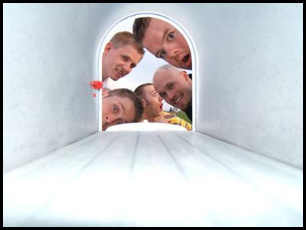 Realtime is a four-part a cappella group from Vancouver, BC and Lynden, WA., that has been singing their music all over the world since 2003. The group includes brothers Mark Metzger and Tom Metzger on baritone and bass, and father-and-son Doug Broersma and Tim Broersma on lead and tenor. They have previously won the Northwest Sweeps, as well as the world championship of barbershop harmony in 2005. 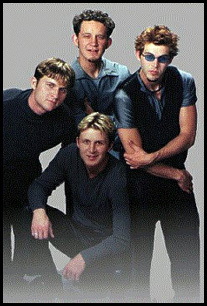 They have recorded three award-winning CD's: Four Brothers in 2004, Ain't That A Kick in 2006, and Take 5 in 2009. As the premiere a cappella group from Eugene, Oregon, the gentlemen of Rezonate sing R&B, Gospel, Pop, Soul, Jazz, Funk, and even some Hard Rock, both arranging covers and writing original songs. 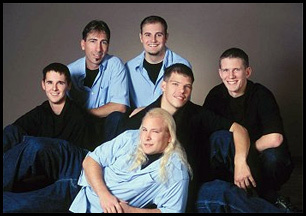 The six members met each other through the Oregon Children's Choir, and started singing together as Rezonate sometime around December 2004. Since then, they have appeared at many venues, including art and air festivals, many local high schools, and even a live mini-concert broadcast from a leading pancake house on the local guitar rock radio station. Would you like a live station I.D. with your order of French toast? Call Rezonate! 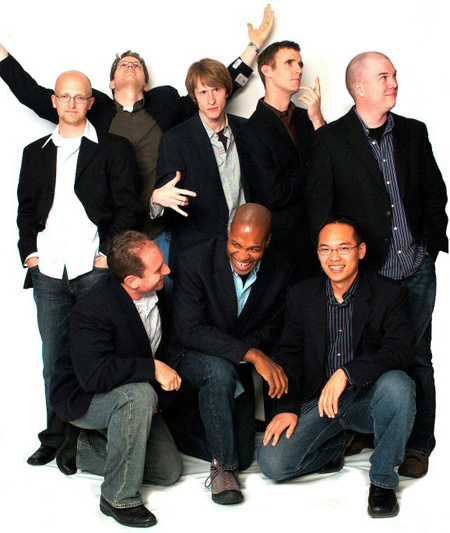 The Baudboys are an all-male a cappella group composed entirely of Microsoft employees. Risking the wrath of fellow employees by rehearsing in on-campus conference rooms, The Baudboys sing a variety of popular and original music. As a group, they boast a wealth of musical training and performing experience. 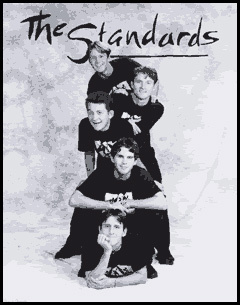 All sang with other groups before joining The Baudboys, and several founded or directed previous ensembles. The Baudboys earned second and third place overall finishes in the 2005 and 2006 Northwest Harmony Sweepstakes. They have performed to audiences in a variety of venues, from nursing homes and schools to major festivals and sporting events. Realtime has been together since March of 2003. Since then it's been a musical whirlwind of activity, with two recordings, hundreds of shows and a world championship under their belt. 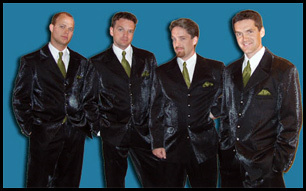 In 2005, Realtime became the International Quartet Champions of the Barbershop Harmony Society in Salt Lake City. Having reached the pinnacle of the barbershop contest world, they have sung in their last barbershop contest, and received their final score in the barbershop genre. They are participating in Harmony Sweepstakes to feed their need to compete. The members of Realtime have become world travelers in their time together and plan to do much more in the near future. Tongue Tied A Cappella has been dazzling audiences since 2002. 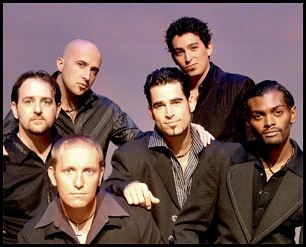 Their distinctive arrangements create a very unique sound in the a cappella world. From classic '80s rock to original heartfelt ballads, Tongue Tied A Cappella covers a broad spectrum of previously unattempted a cappella sounds. This group of five from Northern Utah has entertained thousands, sharing stages with The Standards, T Minus 5, Eclipse, and many others. They have performed all over the Western US, and competed in the Northwest Regional Harmony Sweepstakes in 2003. Their first album "Mix It Up" showcases their mix of incredible sound, luscious bass, and original harmony. Groove For Thought is a group of six singers who share a love of contemporary vocal music. 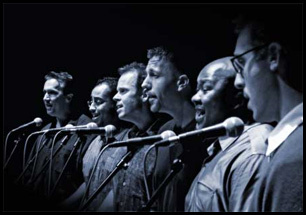 GFT sings an assortment of jazz, gospel, rhythm & blues, and pop music both a cappella and with a live band. 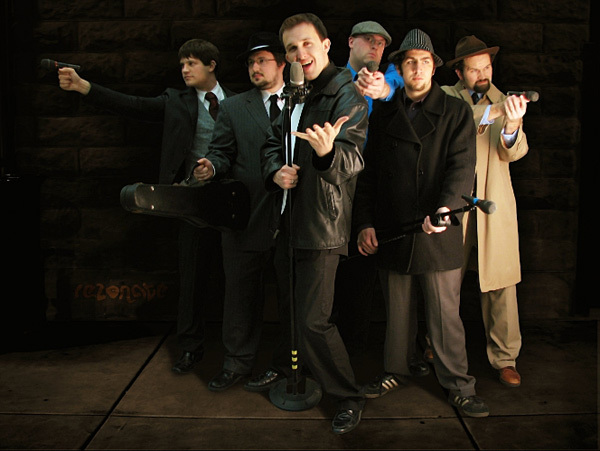 The members of GFT all have extensive backgrounds in vocal jazz and bring something fun, exciting, and unique to the idiom. GFT originated in 1998 and perform at schools, jazz festivals, and community events throughout the Seattle area. The group's early performances were completely a cappella and the group won the "Best Original Arrangement" as well as the "Audience Favorite" awards at the 2003 Pacific Northwest Regional Harmony Sweepstakes Festival. GFT looks forward to the release of their debut CD in the spring of 2005. Heebee-jeebees are two-time winners of the Canadian A Cappella Championships--Northern Harmony. In 1998, they won First Place and Audience favourite at the Pacific North West Harmony Sweeps, becoming the first Canadian group to advance to the Sweeps finals. The Heebee-jeebees have released 4 CDs. "Hurry Up and Wait" is a collection of 50s classics. "Heebee-jeebeeTV" is all original material, including a collection of Hj movies. "Waiting Under the Mistletoe" and "Fa La La La La" contain fun new takes on holiday favorites. The group's recordings have won 3 CARA recording awards, including Best Comedy Album and Best Comedy Song. 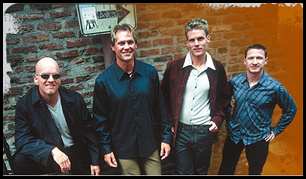 Second Chance was formed in June of 2001 in Pendleton, Oregon. The group originally consisted of four members, but later added a fifth, bringing in vocal percussion. The membership of the group changed continually in a persistent search for the right combination of voices to produce the best sound. The group went through some more personnel changes during the 2001-2002 school year before arriving at the group you will hear tonight. In addition to local performances, Second Chance has performed in San Francisco, Hawaii, and all over the northwestern United States. They attended the West Coast Summit, an A Cappella conference in San Francisco, and are scheduled to debut there this fall. 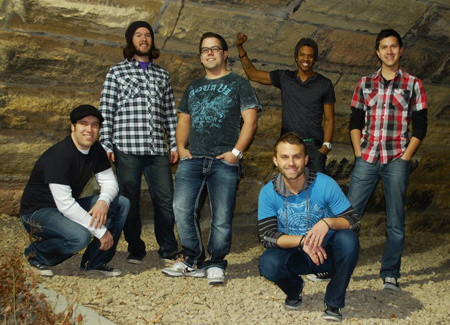 Second Chance has become one of the northwest’s fastest growing a cappella groups. The Standards are four brothers (and Eagle Scouts!) from Twin Falls, Idaho. They have thrilled audiences of all ages in performances for Holland America Cruise Lines, festivals from Alabama to Hawaii, the Idaho Governor's Gala, and for over 375,000 elementary to college-aged students! They have appeared nationally with Manhatten Transfer, Lonestar, Lee Roy Parnell, Dan Seals and River Dance, to name a few and were world champions on Destination Stardom. Eclipse is an ensemble of six who met while attending Utah State University in northern Utah. They have performed extensively with the USU Department of Programs and Entertainment, which was instrumental in helping them gain exposure when they were getting started. 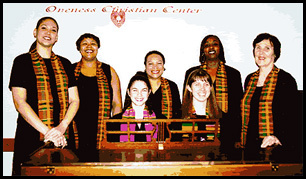 In January 2000, they toured Thailand with Colors and the USU Sunburst Singers. Last year they were featured on a Christmas CD produced for the USU Aggie Carolers. Eclipse is currently recording their own debut album, due out in March 2001. Their repertoire consists of an eclectic mix of vocal jazz, pop, R&B, and even big band tunes. Under the direction of its founder and director, Patrinell Wright, bursts with love, joy and enthusiasm humanity! It is hailed as one of the Paciifc Northwests finest and most soulful ensembles. The group began in 1973 in SE Seattle, the heart of one of the nations most diverse neiborhoods. Today's choir is of all ages. The Standards are five Williams brothers from Twin Falls, Idaho singing R&B, Doo-wop, 50's-60's jazz, and their original material. They have been singing together as a group since 1994. Jordon is known for his rich tenor voice and extraordinary range. One of his passions is motor cycles and he owns a Harley Davidson, which he built from scratch. Morgan writes most of the original music and creates the artwork for the group, including album designs and promotional material. Nicholas is The Standards' bass. He is the "comedy of the group," known for his sense of humor. He is guaranteed to touch the lighter side of the audience. Nathan adds character to the performances with his distinctive voice and original choreography. His dream is to dance professionally in a major Broadway musical. Quinn gives strength to The Standards with his dynamic vocal quality and personal enthusiasm. His interests include roller-blading, snow-boarding, and bothering Morgan if he has nothing else to do in the day. All five brothers are eagle scouts and range in age from 24 to 17. The Heebee-Jeebees were founded in 1993 and are based in Calgary, Alberta, Canada. 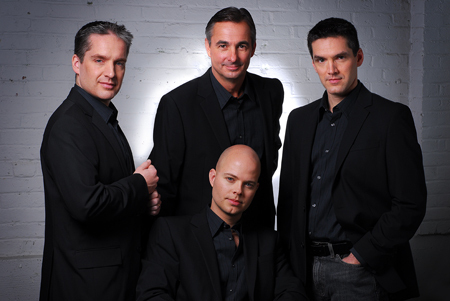 The quartet has been seen across Canada and the United States and has entertained 1,348,952 people (estimated) and 429 pets. Their music has won them accolades, including being crowned the first ever champions of the "Northern Harmony" a cappella competition in Canada. The group took home top honors as well as the "crowd favorite" trophy. In March of 1998 the group was also awarded "first place" and "audience favorite" awards at the Northwest Regional competition of the Harmony Sweepstakes. 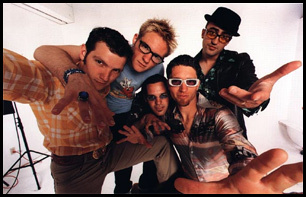 The Heebee-jeebees have recorded two albums, the first "Hurry Up & Wait" was the best selling independent album in Calgary when released in 1996. Their newest album "Waiting Under the Mistletoe" sold out of its first run in only four days, selling more than 1,000 copies in two weeks, making in Calgary's best selling independent Christmas album ever! The album was also nominated for the CARA awards (Contemporary A Cappella Awards) for best holiday album and best humorous song. Kickshaw hailed from the great Northwestern United States - Seattle, Washington. They mixed up their 'Groovalistic-Funkappella' and pounding the Northwest pavement for about 7 years, playing hundreds of dates in the city, at area grade and college level schools, and almost any type of event and concert situation you can imagine - all the time giving each audience a unique, 'mouth-music' expiereince. With their groove-driven songs, crafty vocal arrangements, skilled improvisational jam sessions, and the ability to create the sounds of numerous instruments with only their mouths, Kickshaw is one of the most exciting of the new contemporary a cappella groups. 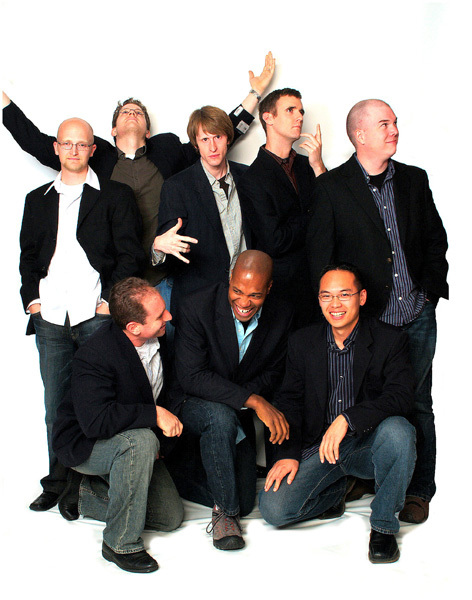 Hailed as “one of the best pop-jazz vocal ensembles in the world” (San Francisco Chronicle) and “among the best a cappella groups in the country” (NBC’s Today Show), the pop-jazz tour-de-force, m-pact, has received countless honors, including Billboard’s Best Unsigned Band of 1999 and the coveted dual titles, 1996-1997 Grand National Champions and Audience Favorites of the Harmony Sweepstakes Festival. 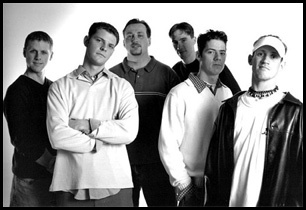 In 2001 this Seattle-based vocal band was crowned Artist of the Year at the SAMIE Awards, the Pacific Northwest’s annual contemporary pop music competition, and for the last two years, m-pact was voted Best Vocal Jazz Group (2002-2003) in the international ACA (A Cappella Community Awards) competition. 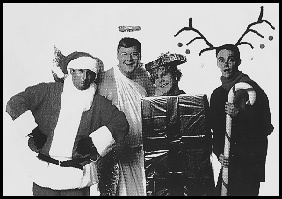 The Coats vocal band started on the street corners of Seattle, Washington's famous Pike Place Market. Singing for tourists, locals, fish vendors, and fellow buskers, their humble ambitions of earning a few clams to fight off the tuition bills quickly evolved into a full-time international performance career. They've since won national vocal competitions, sang for the President of the United States, and have been fortunate enough to share the stage with such talented fellow entertainers as Ronnie Milsap, Trisha Yearwood, Montgomery Gentry, The Beach Boys, Tanya Tucker, Billy Dean, Crystal Gayle, and Colin Ray, just to name a few, all while continuing their tradition of outreach performances and workshops supporting music in schools throughout the northwest. The group formed in January of 1987 at the University of Washington when four guys who enjoyed a cappella got together to sing. Wrapped up in their vocal synergy, they spent the early days bouncing harmonies off campus walls, passing students and patrons of the Pike Place Market. Finally, their big break came when a local high school music teacher asked the group to perform for her class. An instant hit with that age group, they decided to try their performance before audiences of all ages. A new group was born.